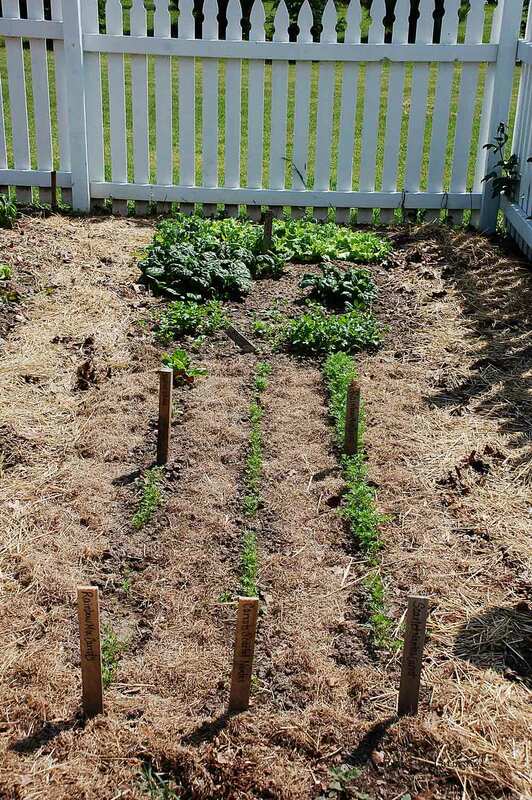 I have planted all my typical crops: lettuce, spinach, carrots, cilantro, onions, beans, tomatillos, tomatoes, peppers, cucumbers, corn, pumpkins, gourds and zucchini. The new additions to my garden this year include potatoes, garlic, shallots, eggplant, broccoli, butternut squash and mini-pumpkins. I also have the following herbs planted: chives (perennial), basil, oregano, thyme and dill. My raspberries, asparagus and rhubarb are along the end of the garden. 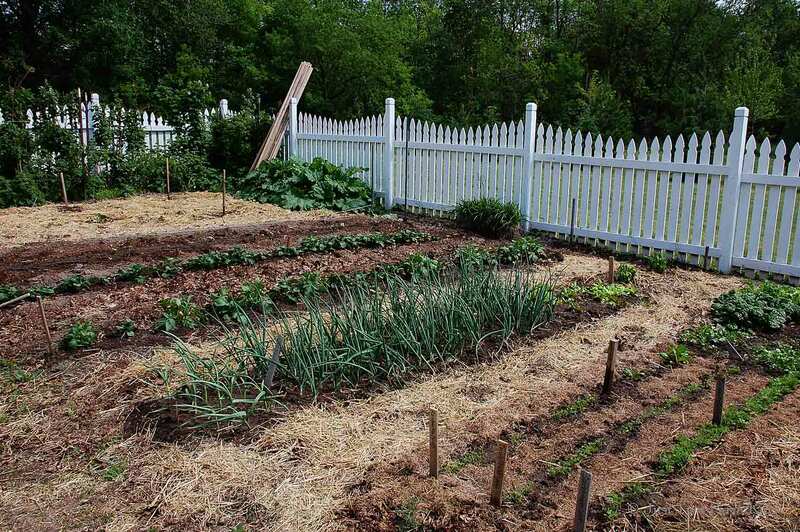 I plant some of my crops in a block method, including spinach, cilantro and onions. It helps save space and I find it easier to weed. It is always such a relief to have the garden all planted. The waiting, watching and weeding now begins. Great job getting you garden in! I’m still waiting for the monsoons to quit here in Washington state before I plant out my warmer weather crops. The description and pictures of your weather out there reminds me of the two years we lived in southern Sweden. There are pros and cons of every climate! 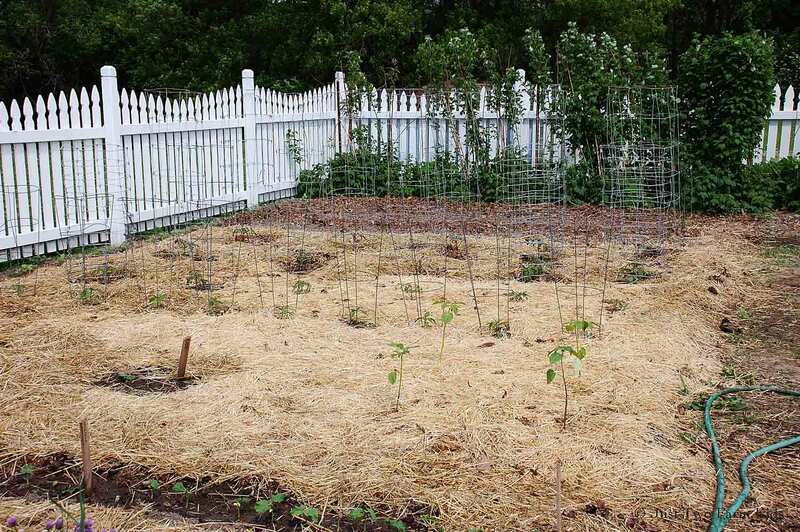 After seeing your weed control measures in your tomato patch, I decided to put down paper underneath my mulch and straw. I watered it down really well and so far, so good!